Zen Studios captured the essence of Marvel Comics in pinball form for a number of quality tables provided in download form for their Pinball FX2/Zen Pinball platform. Now they have moved onto another Disney owned property to satisfy the insatiable hunger for fans to see their favorite things gone pinball. 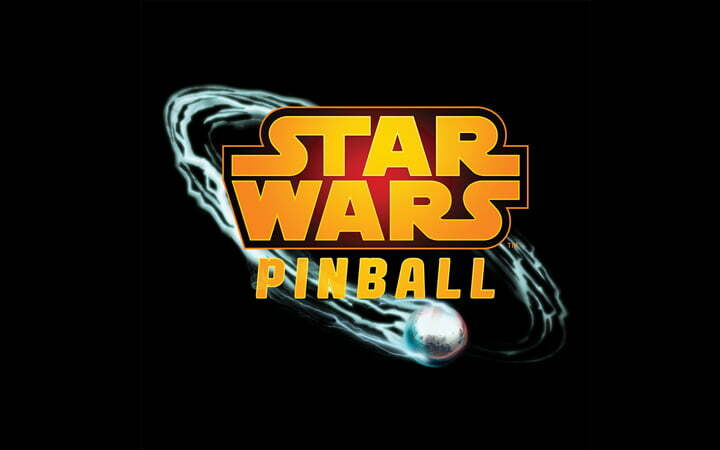 Enter Star Wars Pinball, what eventually will be a set of 10 tables based on various settings from the Star Wars universe. The first set of 3 tables was recently released and are based on Boba Fett, The Empire Strikes Back, and the animated Star Wars: The Clone Wars. Boba Fett is the most complicated of the three tables. The goal of the table is to complete bounty hunting missions as Boba Fett, whose 3D model towers on one of two pedestals in the center of the table. There are 4 ramps and a lot of little nooks and crannies to aim the ball at. Points can be hard to come by on this table. Precision is needed for hitting the right ramps at the right time and it plays an integral part in completing the missions and scoring the big points. The left side of the table is based on Vader’s Imperial Ship and the right is Jabba’s Palace. At the center back separating the two is a sarlacc pit with Han Solo in Carbonite hanging over it. It provides a nice variety of Boba Fett related scenes from the movies and should make any Fett fan giddy. Add in a ball launcher based on Fett’s blaster along with interactions with rival bounty hunters as he completes missions for Jabba and Vader, and you have a table that becomes a monument to everything that is great about Boba Fett. The Empire Strikes back table captures the greatness of the movie with visuals and nice little audio clips. The table itself looks pretty simple with a couple ramps off to the side. The goal of the table is to complete timed missions that act out 5 key sequences from the movie in pinball form. Precision will be needed on this table too for completing the missions before time expires as just a couple of mistakes will leave you out in the cold. Points are easier to get compared to the Fett table but can still be difficult when compared to previous tables. Hitting the 3 billboards at the center of the back of the table allow players to choose what scene they wish to try to complete. These range from Luke’s training to taking down an AT-AT all with quality 3D models jumping onto the table. The table also features a secret mini game based on a scene from A New Hope. The sequence takes players into a first person view behind a light saber and they have to try and deflect shots from the floating training droid. This is an interesting sequence but can take some players out of the zone when playing pinball. It is nice though to see Zen Studios try and change up the formula. The Clone Wars is the simplest and really felt lacking. It is filled with ramps and ends up feeling extremely cluttered and small with hardly any center playing area. It is the most colorful of the three taking on the art style of the animated series and has a lot of blues and reds from light sabers plastered across the table. This is the easiest table of the 3 to rack up points on often entering 8 digit numbers within the first couple minutes of play. Zen Studios’ Marvel tables got better with each release and we can only hope the same with the Star Wars tables. They are a great first salvo touching upon 3 pieces of the rich universe and seem to target old and new school fans. These tables are likely to make a Star Wars fan a pinball fan if they weren’t already.